Writing for the National Review, contributing editor Andrew McCarthy yesterday published a diplomatically scathing essay on how Senate Democrats are trying to scuttle the confirmation of Judge Brett Kavanaugh to the U.S. Supreme Court, exercising a vicious double standard that allows them to claim some moral high ground while standing chest deep in swamp muck. It swirls around the allegation by a woman now active in Democrat politics that in his youth, Kavanaugh allegedly attempted to take liberties with her at a drunken high school party. This only surfaced after the raucous Senate Judiciary hearings, from which Kavanaugh emerged essentially unscathed and appeared a sure confirmation to the high court. 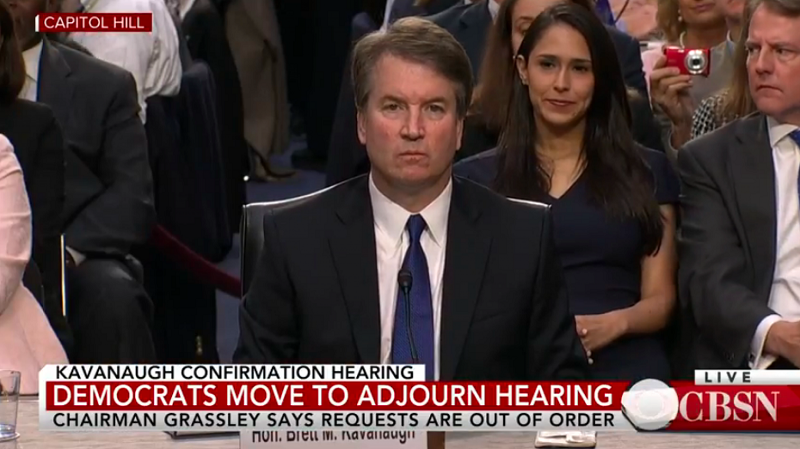 Kavanaugh has denied the incident occurred, and the sides are lining up with no middle ground visible. Sen. Dianne Feinstein had apparently been aware of the allegation for some weeks, but didn’t bring it up during an interview with Kavanaugh nor during the hearings. Liberals do not want Kavanaugh on the Supreme Court bench for fear he will be a vote toward restoring the Second Amendment and against other social issues popular with the Left. McCarthy cautions Republicans to essentially grow some backbone and put a stop to this by not allowing Democrats to run the show. According to Reuters, it’s already having the effect Democrats seem to want.